Regarded as the national dog of Cuba, the Havanese dog breed is no stranger to the citizens of Cuba. This small-sized dog is as cute as can be with ears that drop and fold, a springy gait, highly sociable, and spirited personality. It would be unusual to talk about the Havanese's personality without mentioning the childish curiosity which has endeared the breed to many owners. A highly cuddly size makes this dog perfect as a companion dog and family pet. A typical Havanese has a height that ranges from 8.5 inches to 11.5 inches with a weight of about 7 to 14 pounds. The age of the Havanese dog breed goes a long way in determining the amount of dog feed you should give it due to their proneness to obesity. A young puppy would require about 466 calories a day to make up for all that running around, but an adult dog would require considerably less. Regulate the number of dog treats you give your dog to avoid issues such as obesity. Free feeding is definitely a no-no for a Havanese. Feed your dog at regular intervals while at the same time, ensuring the food sits out for no less than 30 minutes. Generally, adult Havaneses should be fed twice in a day while Havanese puppies can be fed three times a day due to their higher rate of burning energy per pound. They can also be given leftovers of dinner but foods with high-fat content should be avoided. Remember to consult your vet about the human foods dogs can safely eat and ensure to feed your Havanese with high-quality feed. Having a healthy-looking dog is essential so grooming is a necessity. With its double coat which can either be fluffy or silky depending on the breed, its fur can grow up to eight inches when left uncut. If your Havanese sports a full coat then daily grooming is advisable. A bath at least once a week should also help groom your dog better. Havaneses rocking a short puppy cut would require professional grooming once every six to eight weeks and a bath every two weeks. Ensure you dry the coat thoroughly after bathing to prevent your dog from smelling like something the cat dragged in. For the hair dryer, ensure that high but low heat air is used to avoid any damage to their sensitive skin. 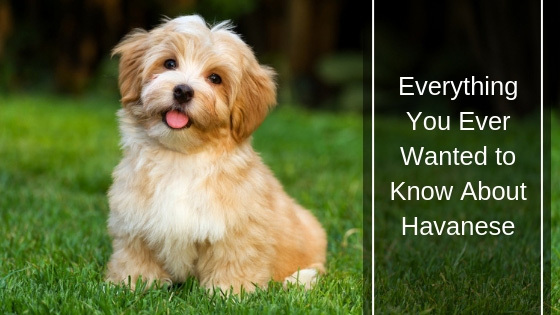 There is a very wrong misconception that the Havanese breed is a non-shedder. This is totally false as all dogs shed no matter how little. Cleaning just below their eyes with napkins or cotton balls and warm water to remove tear stains. Ensure to brush your pet's teeth on a regular basis with toothpaste prescribed by your veterinarian. Trim your dog's nails on a regular basis due to Havanese having rapidly growing nails. Even for human beings, exercise is necessary for great body build-up. The same thing goes for the Havanese, which requires loads of regular exercising practically every day. Exercise for your Havanese dog doesn't have to be overly strenuous though; just about any form of dog workout would do. Learn to take them out for a walk, play catch with them, jog with them, or even take them out for a swim, all on a daily basis. Your Havanese dog needs all of these to maintain fitness and health. Speaking of health, these exercises can help improve your Havanese dog's mental health, as well as reduce some behaviors caused by anxiety. Do Havanese Dogs Train Well? 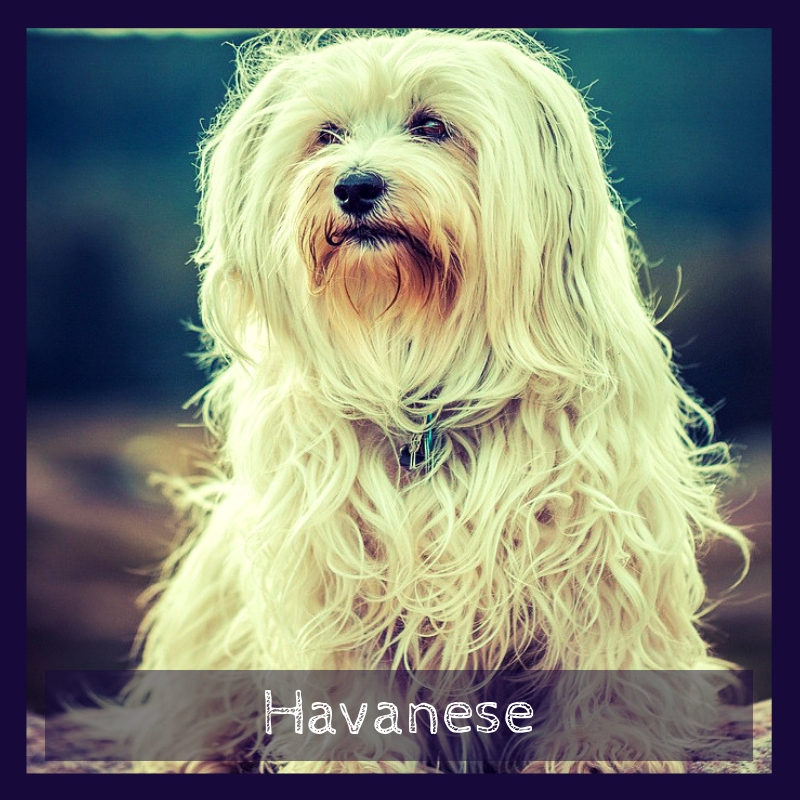 The Havanese breed is a smart dog anyone would love to have. They are fast learners, intelligent, and highly intellectual. Training them using careful methods is a very effective way of creating a positive attitude in this breed of dogs. Everybody loves a dog that socializes with everything and everyone around and luckily, Havaneses are fun little dogs to be around. Take your dog to the park or at least let them stay around kind people. You will find that they get along nicely with other pets. Expose them to a wide variety of friendly pets that they would love to play with. Also, take them out for a walk around the block, to the park or to see friends and family. All of these can help your dog become the companion dog you need. Apart from all the socialization processes, you might as well consider communication with your Havanese dog. Interact with them, show that you care and sometimes give out specific, easy-to-understand instructions and commands. Equally, scold them when they do things that are considered unorderly or not right—but do this in a positive manner. Yes. The Havanese are considered to be companion dogs and are great Emotional Support Pets. All they need is a magnificent level of love, care, and attention. Due to their friendliness and small size, they are great for Emotional Support Animals. Havanese dogs are generally healthy and with a lifespan of about 14 to 16 years. However, they are prone to several health issues that could be minor, as well as chronic. Sometimes, genetic issues may arise within the breed, which is why special organizations including the Havanese Club of America, help to oversee them. Other health issues and diseases the Havaneses are prone to include cataracts, which affect the eye, causing cloudiness and opacity, and Portosystemic Shunt, which causes abnormal blood flow. However, a few health tests are important for people who wish to have this breed of dogs. Recommended from the National Breed Club, some health tests for your Havanese dog include Ophthalmologist Evaluation, BAER Testing, and Hip Evaluation. If you are thinking of getting yourself a Havanese dog, then that's a smart decision. They work well as magnificent companion dogs and are very friendly to everyone around them, including strangers. 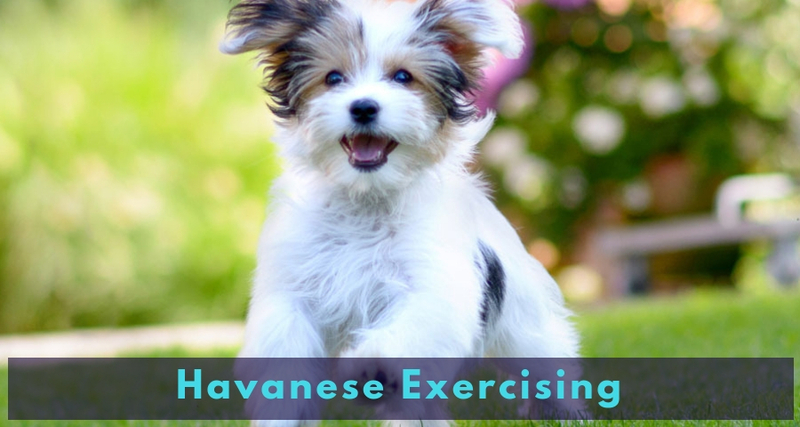 Don't forget exercise as doing this on a regular basis is one sure way to keep your Havanese happy and healthy.